Kat:: And now, it's time for our crisp and crunchy Gene of the Month - it's called Tempura, named after the Japanese deep-fried battered treat. Found in fruit flies, Tempura is a newly-discovered component of something called the Notch pathway - a biological messaging system that helps cells work out what to do. The protein made by the Tempura gene controls the release of two other proteins in fly cells called Scabrous and Delta, which are involved in Notch signalling. 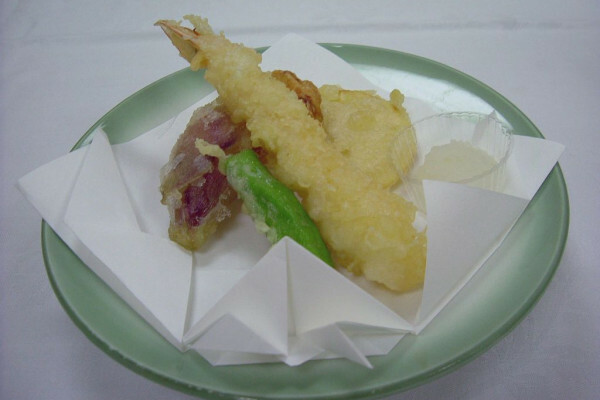 Researchers have discovered that Tempura is a type of enzyme called - rather wonderfully - a geranylgeranyltransferase, meaning it sticks small chemicals - called geranylgeranyl - onto other proteins. A useful function, but perhaps not as tasty as being dipped in batter and fried.